Magic Fish Dreaming enhances the study of the natural world, encourages the exploration of poetry techniques, inspires movement and acting and interests its readers in specific animals and habitat including, the beach, lagoons, rainforests and farms of North Queensland and Australia. Its poems encourage readers to, explore concepts of size and discuss ecology and the theme of belonging to and caring for the land, community and friends. Most of all it’s full of poetry to inspire the imagination, creative thinking and the building of a relationship with the natural world. This poem is about looking for things to inspire poems. 1. Have you read or had poems read you? 2. What is a poem? 3. How could you hunt for one? 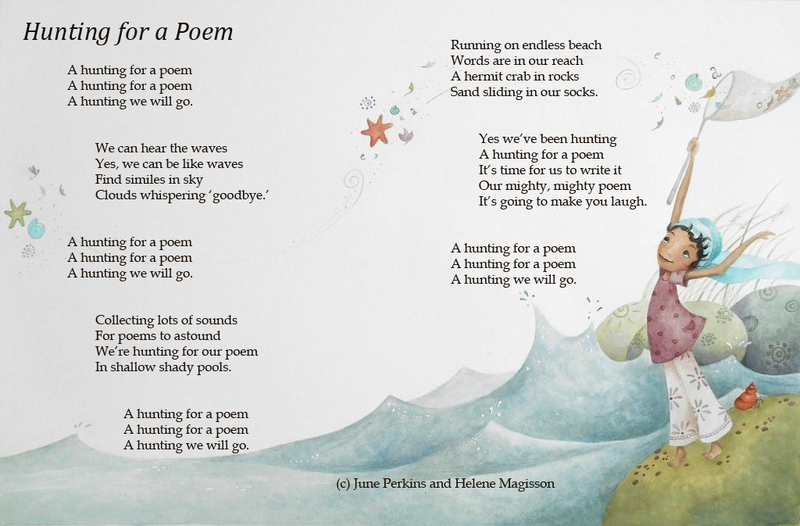 Take your children for a walk and go hunting for objects that they could put in a poem. Read the poem before and after you go. Students can work in small groups. What does this look, smell, feel like? For example: that shell looks like a cake you have with cream, that tree’s bark looks and feels like a wrinkled person’s face. Act out the poem, when you are studying a unit on the ocean, and beach environment or a unit on poetry. Additional materials posters and books on the ocean and the beach. 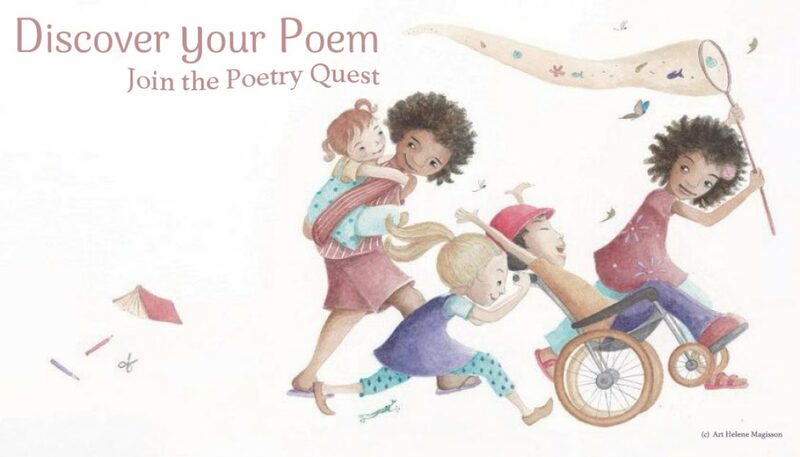 Have the children move around the classroom as you read the poem out loud. Explain what a simile is? How can a cloud be a simile? Eg: Cloud pictures? Ever look at the sky and say it looks like … a dragon, a dinosaur, a kangaroo. Can a cloud talk? What would it say if it could? How could you put it into a poem; a story; or a drawing? Have the class make similes and illustrate them. 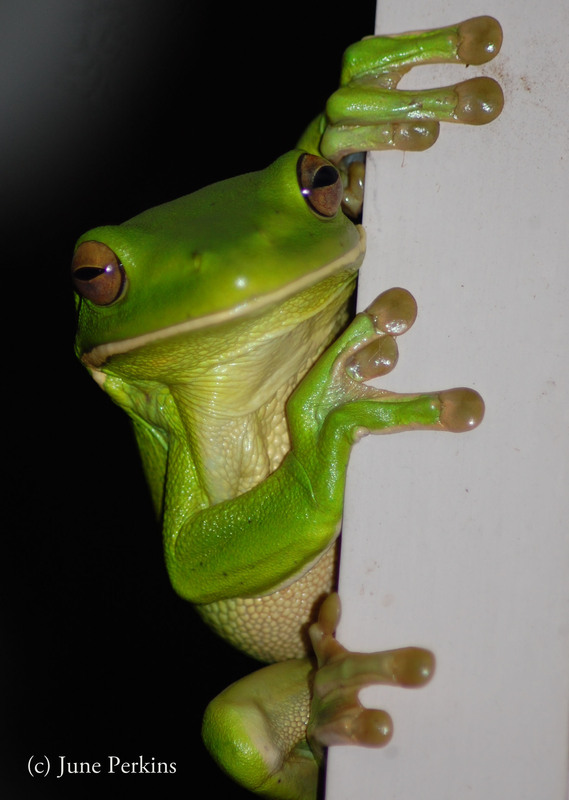 Some of the creatures featured in the book are: Cassowary, Geckos, Lumholtz Tree Kangaroo, Ulysses Butterfly, Crocodiles, and the Green Tree Frog. You could find out about these and use them to help make your similes. COMING SOON posts on the the illustrator, the editing process, progress with the kickstarter, and some of the amazing flora and fauna of Far North Queensland, Australia. Update on the Magic Fish Dreaming Project.